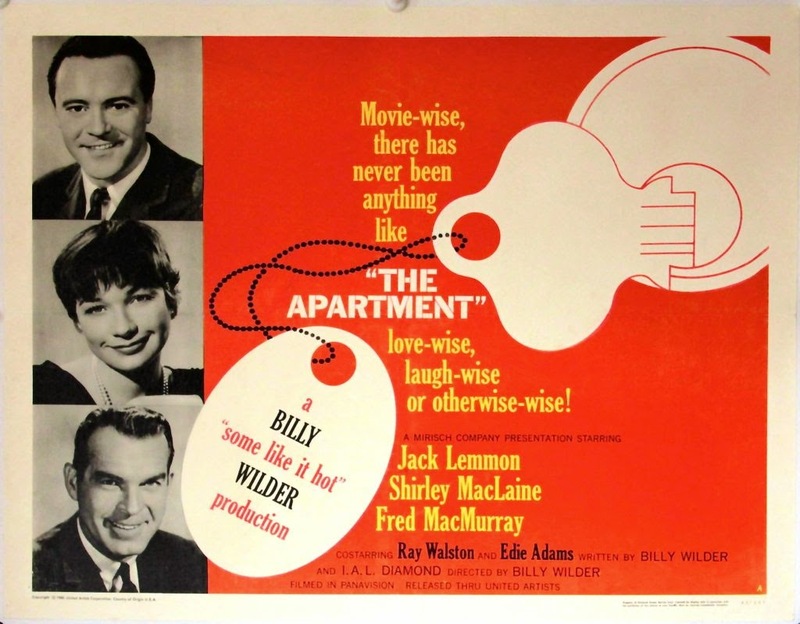 Billy Wilder always had these great stories to tell, and you can hardly think of a film more entertaining and darker for a romantic comedy-drama than The Apartment (1960). The film is a story of a struggling individual trying to find bits of life and love in his tedious cycle between the halls of his corporate workplace and his lonesome apartment. The Apartment is a multi-layered story which would look like a comedy or a melancholy drama to different eyes. But most people would agree that it is a satire on the rat race of modern urban life. A lot of folks may find that quality awful, but isn't this what life is like. One of the more memorable stories told by Hollywood, The Apartment was well rewarded by the Academy for its excellence with five Oscars including Best Picture, Best Director and Best Original Screenplay. The most remarkable bit about the film is its remarkable screenwriting by Wilder and I.A.L. Diamond, which is enhanced even further by Wilder's genius in directing. But as much as that, brilliant acting by Jack Lemmon and Shirley MacLaine, even though both of them missed out at the Oscars that year. Let us reveal only as much about the film as the following trailer does. But make sure you take time out to watch this masterpiece this weekend. It's surely one not to miss. But if you have watched it already, let us know what you think about it. Every Wednesday evening, a calm but captivating session of reading is held in the common room of the Writer’s House in the Academy of Letters, Islamabad. People passionate about Punjabi classical literature gather to recite the epic love story Heer Waris Shah, which is considered the most famous literal masterpiece of the civilization in Punjab. Written by renowned Sufi poet Waris Shah in late eighteenth century in Central Punjab, this romantic tragedy epic is surpassed by very few works of art, if any, in terms of its eloquence. 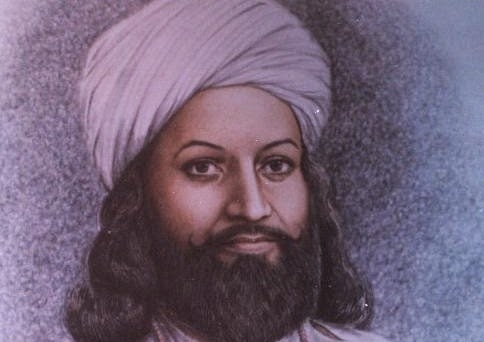 But what is so significant about reading Waris Shah in this forum when you can do so at home, you would ask. Not only is the language difficult to grasp for even the more experienced readers, but the discussion in the sessions offers the right historical, etymological and cultural context for the passage. The session is regularly attended by some of the renowned Punjabi and Urdu poets and writers. A regular is Punjabi short story writer Malik Mehr Ali, who is known for his mastery of the language and exploring rare interpretations. The likes of Punjabi poet and vocalist Hazrat Shaam also attend the sessions, who keep alive the age old tradition of reciting this piece of poetry in a melodious tune. The sessions are organized by Tariq Bhatti, a civil servant by profession and a man of refined taste in literature. He founded Paraga in 2013 for the development and promotion of literature and arts in Punjabi language. Bhatti also said that the forum plans to recite literature from other classical Punjabi poets such as Shah Hussein, Baba Farid and Bulleh Shah. The forum also plans to offer a platform to budding poets. You can join the Paraga.org facebook page for updates pertaining to the sessions. The recordings of the previous sessions can be found at paraga.org. The session will not be held in the last Wednesday of Ramadan. However, it has the last session of July tomorrow right after Iftaar at the same venue. After the fasting month, the sessions will be regularly held at the usual time of 7 in the evening at the usual venue. It is an excellent opportunity for those who want to learn about classical Punjabi literature and Paraga welcomes everyone. 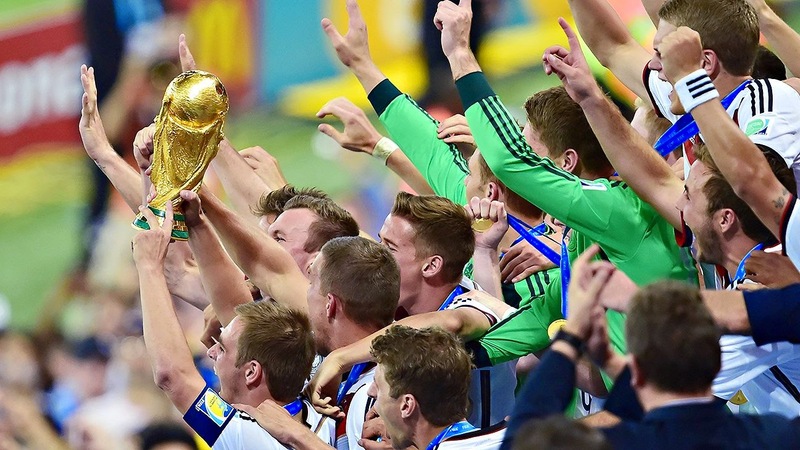 So the 2014 Football World Cup finally comes to an end with Germany clinching a well deserved title. 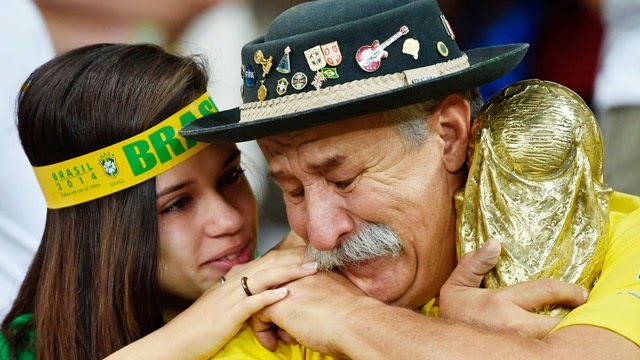 But there are quite a few reasons why this world cup would stick to memory for a long time. Germany became the first European team to ever win a FIFA World Cup organized in South America, breaking the jinx that few thought would be broken. Though to many minds, Germany was clearly the strongest side from the beginning. The winning goal was scored by Mario Götze, who has become the all-time youngest goal scorer in a FIFA World Cup. 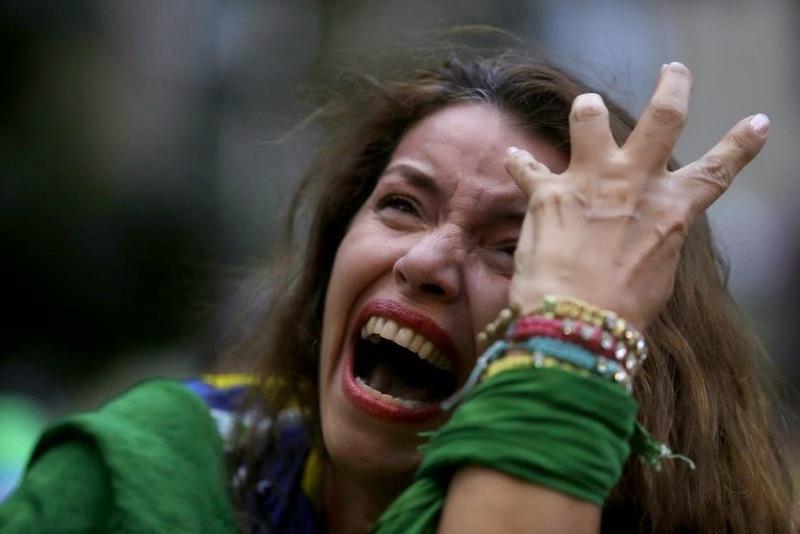 More than anyone else, the Brazilians would remember the 2014 FIFA World Cup with great bitterness. 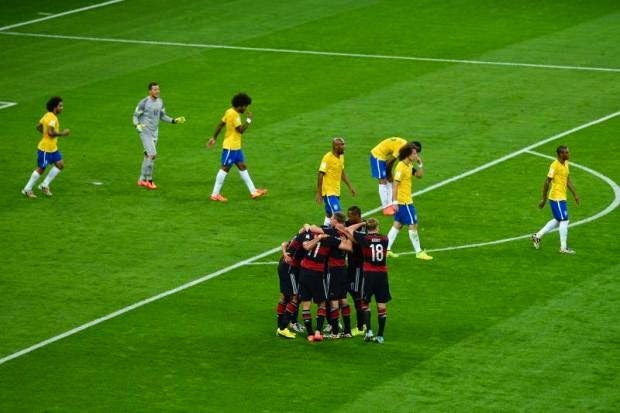 Other than the political conflict around the organization of the event, the 7-1 humbling from Germany was the heaviest loss in the history of the Kings of Football. The tears were just too hard to bear. The world cup would also be remembered for the controversial challenge from Colombian defender Noriga that sent Neymar packing for the rest of the championship. Neymar suffered a fractured vertebrae and to many Brazilians this "hunting" caused the rest of their World Cup campaign go down the drain. The World Cup saw many new records and one was Miroslav Klose beating the record of Ronaldo's golden goal. 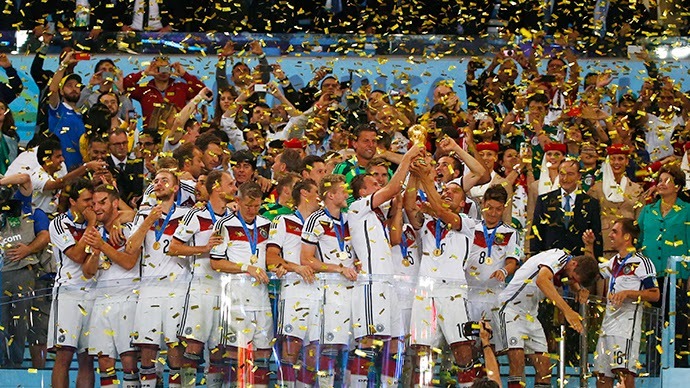 The German striker has scored 16 goals in 23 World Cup finals appearances, with 2 of them scored in the 2014 World Cup. 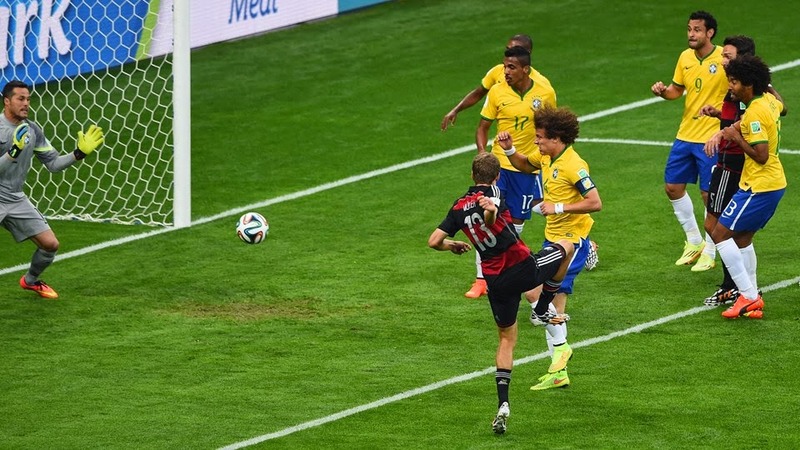 Here is the record breaking goal against Brazil from the ruthless German center forward. 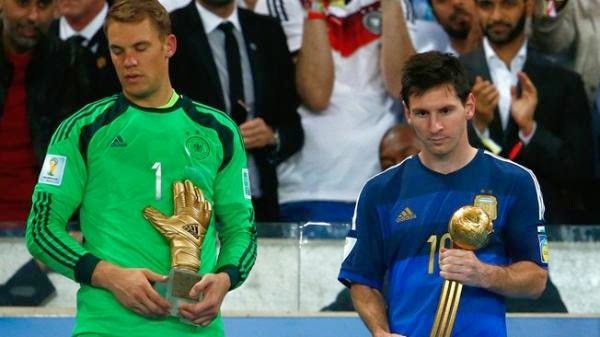 This World Cup will also be remembered for the controversial Golden Ball awarded to Argentina's Lionel Messi, who bitterly ended up on the losing side in the final. He reluctantly accepted the award and was visibly disturbed by the photo op that followed. He also wasted no time in taking off his loser's silver medal. This World Cup will particularly be recalled by football fans for Luis Suarez' infamous bite with Italian defender Giorgio Chiellini being the victim. The bite caused FIFA to kick him out of the sport for three months, but to many it was a Golden Bite, since that caused Liverpool to let him go. 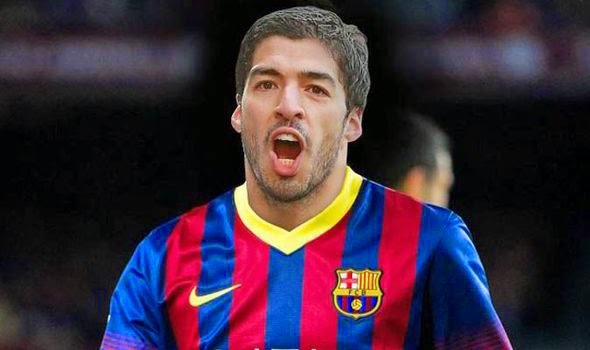 The controversial Uruguayan striker struck a dream deal with Barcelona for ₤62.5 million and must surely be on cloud nine. This World Cup probably peaked way too early with Robert Van Persie's "Flying Dutchman Goal", which was probably one of the most spectacular one you would ever see in the sport. This goal marked the beginning of the humiliation of the defending champions Spain, who were battered by the Netherlands 5 goals to 1. 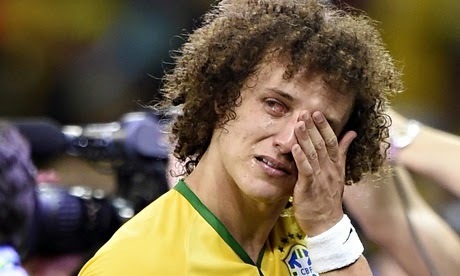 Needless to mention, Spain could not make it to the second round and Chile took their spot instead. 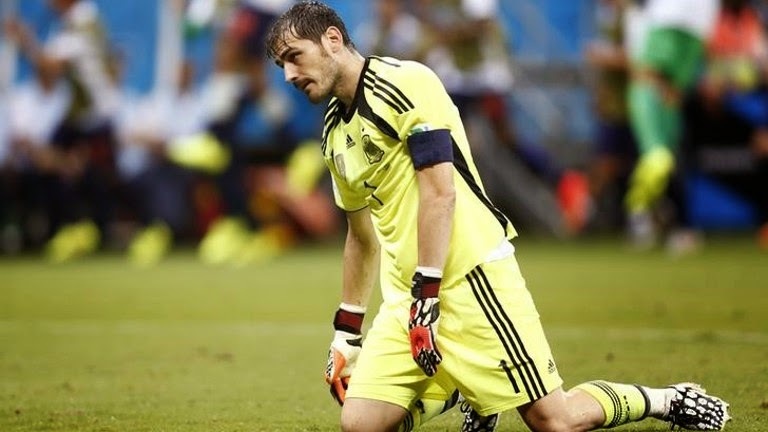 And it pretty much ruined Iker Casillas' career. 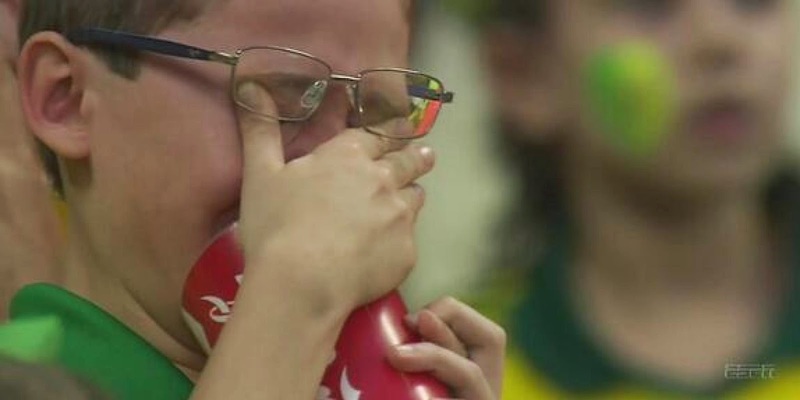 Germany won the World Cup alright, but the team that came out with the strongest run in their history was Costa Rica. Costa Rica made it to the quarterfinals while only conceding 1 goal in the process and only lost to the Netherlands on penalty shootout after a goal less draw. Well played. James Rodriguez of Colombia was comprehensively the find of the tournament, winning the hearts of millions including Diego Maradona who endorsed him for Golden Ball instead of Messi. Despite Colombia getting eliminated in the quarter finals, he remained the top scorer till the end, winning the Golden Boot award with 6 goals in 5 appearances. That's what you need to do to win Golden Boot, score in every game. And especially, goals like these against the likes of Uruguay. Another exceptional novelty this World Cup was the introduction of technology, as it is being done in numerous other sports including tennis to ensure fairness. The goal line technology confirms the status of split second off-the-line encounters. 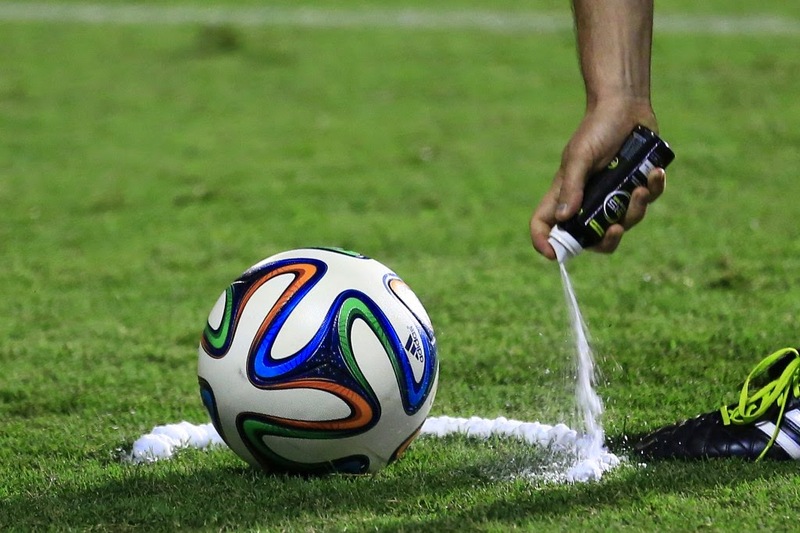 The free kick spray, which dilutes after a minute or so, is said to prevent cheating restricting the defensive wall and the kick spot. Was it really effective? You be the judge. Brazil 2014, along with France '98, would be remembered as the highest scoring football World Cup so far with 171 goals in total. However, there was something more unique to this World Cup in terms of goal scoring. This tournament featured the greatest number of goals from substitutes in any World Cup in history. As many as the number of participating teams. 32. Each ramzan you go for iftari to high end restaurants serving iftar at Rs. 1500 with a microscopic “with tax” written next to it and you end up paying Rs. 2000 for pakoras, samosas, namak paaray and jalebi along with sandwiches and a few other edibles. 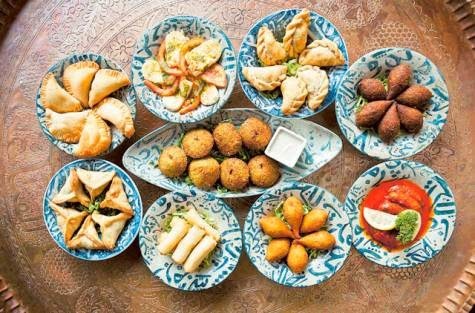 I personally have no qualms about these restaurant served iftaris, I like them- it is just that I am sick of the lack of novelty and originality in iftari options at these places. I would like to see different renditions to Pakoras and the other usual iftar items. For me, I imagine the perfect pakora to have more than just aalu. Maybe if you can make them with cheese, mushrooms, spinach, chicken, eggplant, zucchini or fish it would be more interesting and palatable. It is also equally important to have something light that you could easily gallop without feeling like a gluttonous panda. So here are some easy breezy iftari ideas for you this Ramazan! Beat boneless chicken till it becomes large and flat, season it with salt and pepper, add cheese and green onions in its middle. Roll the chicken and close it up with toothpicks. Dip the chicken in beaten egg and bread crumbs and fry it. You have a tantalizing treat for your taste buds. Watch the stuffing melt when you cut the stuffed chicken with knife and fork. 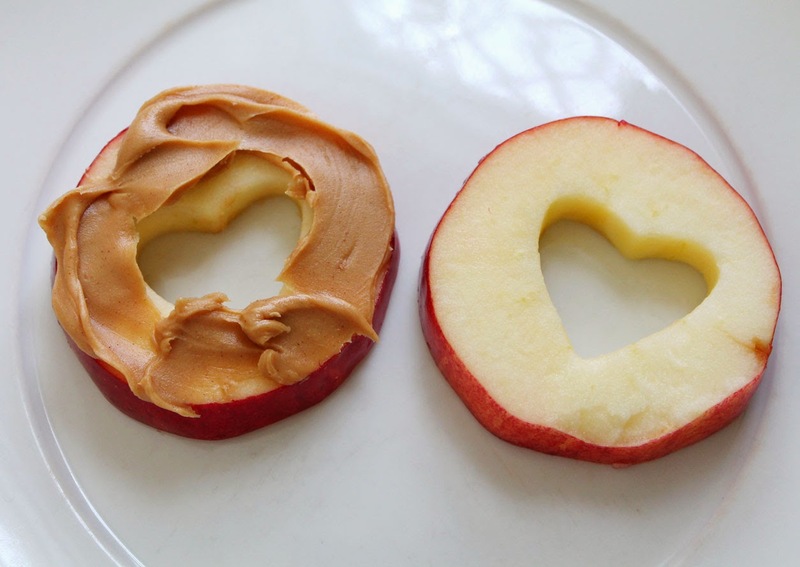 Cut apples in quarters and apply peanut butter onto them. Suuuuuper easy, healthy and better than chocolate! Cut boiled potatoes in halves and mash them a bit. Mix green chili, salt and red chili with the potatoes. Apply the mixture on toast. Dip the toast in egg and then in basin and water. Fry the toast and cut it in cubes. Mix together basin and water adding salt, pepper and chili to the mix. Roll together spinach and cheese into balls and dip it in the basin mix. Fry it till its golden brown. 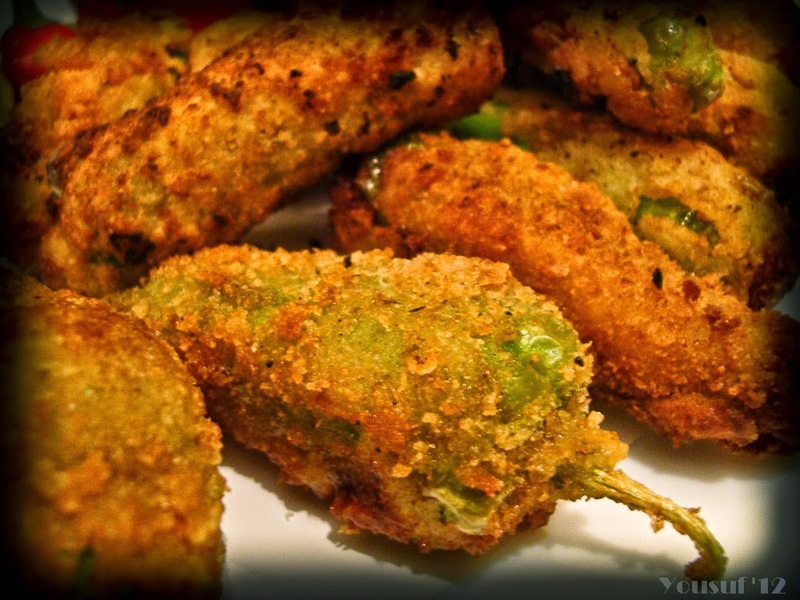 This is a delicious rendition to conventional aalu pakoras! I am getting hungry as I type. Ok, mix salt and red chili flakes in mixed beef and fry it. Take a piece of pita bread and apply garlic mayo on it, add minced beef into this and roll it. Cut it into small portions and you have a trrrreat! If you are not familiar with the local bodies election campaign by FAFEN, then you must check it out immediately. FAFEN or the Free And Fair Election Network is a non-partisan, not-for-profit organization that is working hard to promote democracy and the democratic process in Pakistan. The organization has been monitoring polls in the past as well and is a prominent voice on violations of the regulations of the Election Commission of Pakistan. The organization is also focusing on an important aspect of democracy that is often ignored in Pakistan, even sometimes by people directly involved in politics. 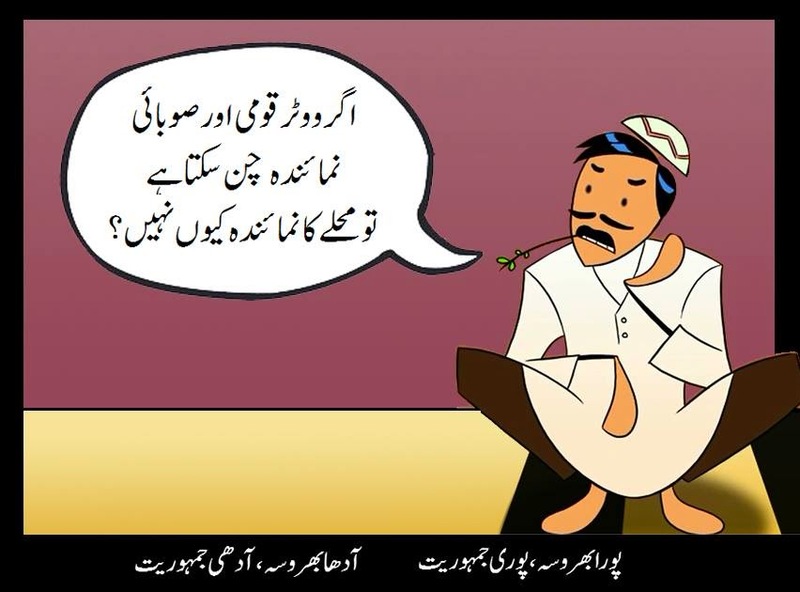 FAFEN has been focusing on local government elections for quite some time now on the social media. But you do get the feeling that they need more support from the people. They are doing their bit. It's our turn now. For starters, you can like the FAFEN facebook page and start sharing the message to your friends. You can also sign a petition addressed to the Prime Minister for the same. Even in politics, charity begins at home. That's precisely why we need local governments. If you still haven't watched the first season of HBO anthology drama series True Detective, you have some catching up to do. But don't worry, the show is in a format that it would appeal to your fascination even if you watch it a century later. There is a lot of feminist criticism of the show too, but probably that's the world of the story. There are a few reasons why this show is different and offers you something that very few other things on TV do. When you look at it, storytelling is telling the same story in a thousand different ways. You would be able to appreciate True Detective when you look at it from this perspective. Despite its murkiness and dreamy air, True Detective offers you something that many contemporary drama series fail to deliver. And philosophy that stings as it makes you think. It offers you food for thought, and it offers you food for thought in conversation. It reflects on philosophy in a backdrop that makes it resounding. For many people, well to me at least, the very thought that Matthew McConaughey and Woody Harrelson are appearing together on screen is orgasmic enough. But then again, to a lot of people these are the actors they love to hate. In that case, it's not your cup of tea, perhaps. One of the most fascinating aspects of the premise of this season has been its Deep South setting. The season is based and shot in Louisiana, which adds to the dark air of the story. There are not only references to the Occult, but also to Weird Literature, which the fans of the latter should watch out for. If irony is your idea of entertainment, then True Detective is going to offer it in good supply. As a matter of fact, explaining the irony of the show would require a minute by minute analysis. You can either not spot it or there it is, right in plain sight all along. 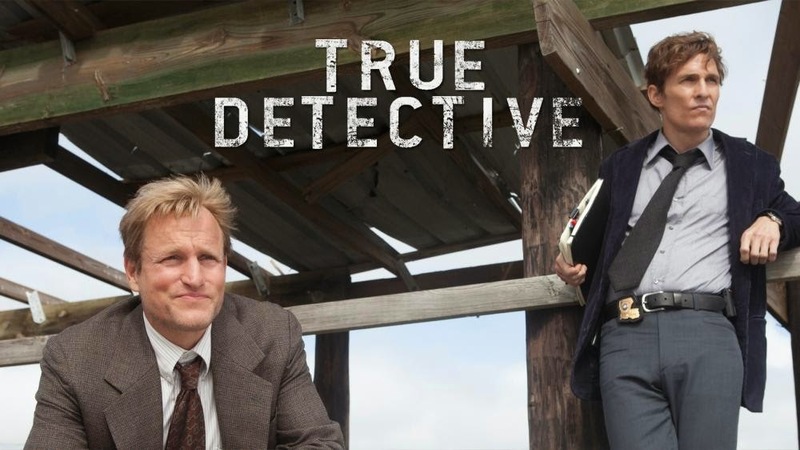 True Detective is a break from your usual TV razzmatazz. And for someone hooked to Nic Pizzolatto's True Detective, it even includes top shows such as Breaking Bad. But then again, for a nihilist, so is True Detective.